Bergstrom started in 1949 and has since grown into one of the world's leading manufacturers of climate control solutions for the commercial vehicle industry. 1951 Elvin Rydell joins Bergstrom. 1952 Bergstrom begins producing heaters for Carpenter & Thomas School Buses. 1954 Bergstrom begins producing heaters for Caterpillar. 1966 Bergstrom produces first heating & air conditioning unit for Kenworth trucks. 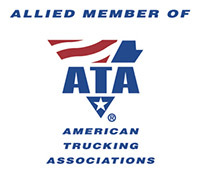 1971 32-acre Rockford facility becomes corporate headquarters. 1988 Bergstrom begins producing HVAC units for Volvo. 1989 Bergstrom Europe is founded in Birmingham, UK. 1991 Bergstrom becomes supplier of choice for International Truck & Engine Corporation™ climate systems. 1993 Bergstrom supplies HVAC assemblies to New Holland. 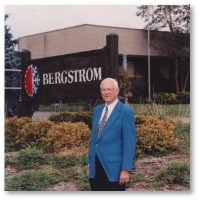 1997 Bergstrom begins assembling cabs for Caterpillar. 1998 Bergstrom China opens its doors in Changzhou, China. 2000 Bergstrom acquires Kysor-Westran and begins producing HVAC for Mack Truck. 2008 Bergstrom forms partnership in Russia. 2010 Bergstrom's Joint Venture in India opens its doors. 2010 Bergstrom builds partnerships in both Turkey and Brazil. 2013 Bergstrom acquires Innovative Product Development Corporation (IPDC). © 2010-2019 Bergstrom Climate Control Systems. All rights reserved.